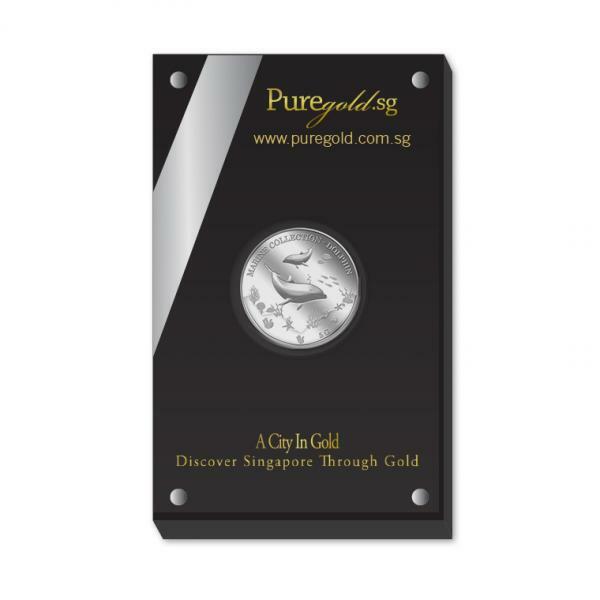 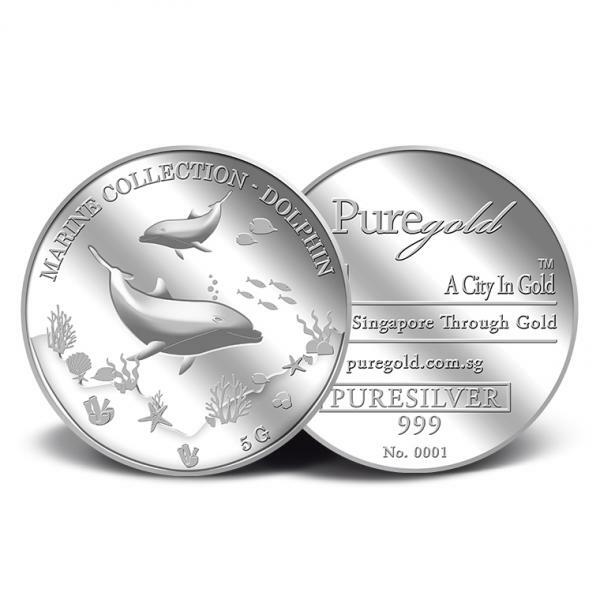 The image of the two dolphins is embossed on a 5g 999 fine silver medallion. 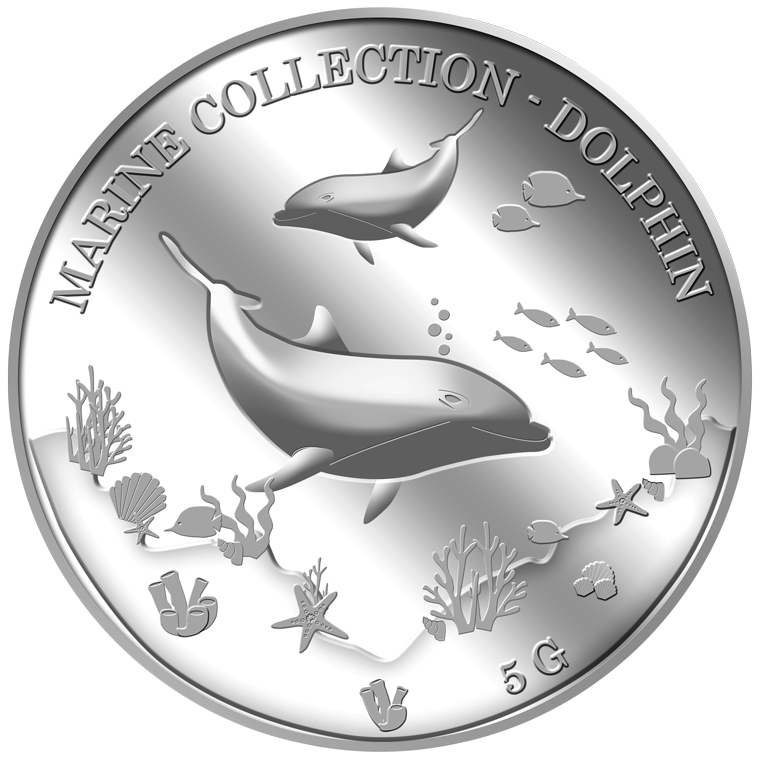 The 5g dolphin medallion portrays two dolphin swimming under the sea. 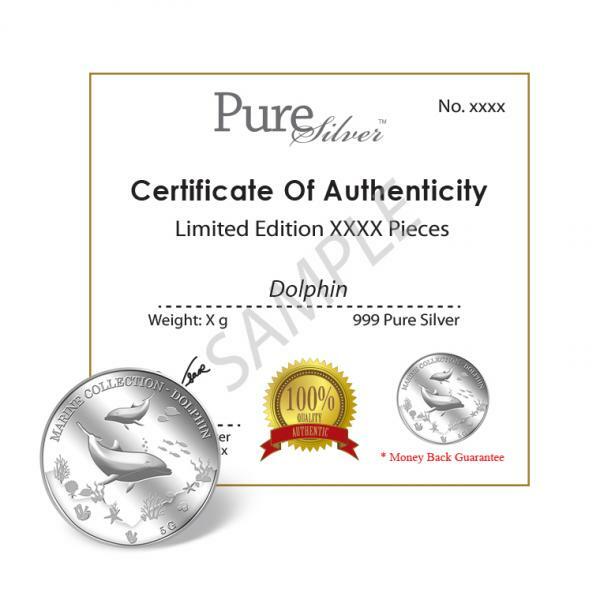 The design also includes the inscription WILDLIFE COLLECTION - DOLPHIN and the medallion’s weight.